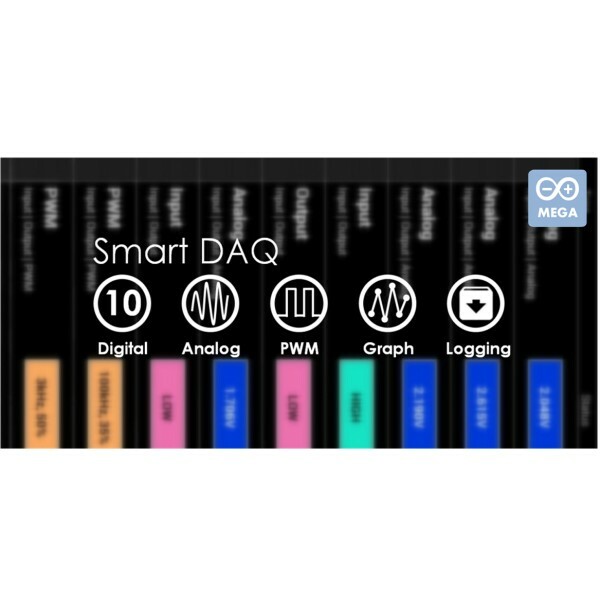 This SmartDAQ is a great app used to perform multiple channels control and monitoring. Currently a free version (4 Analog Pins and 8 Digital Pins) is released for user to try out. User can get full version (16 Analog Pins and 58 Digital Pins) by purchasing the DFRobot Mega 2560﻿ board from our website. 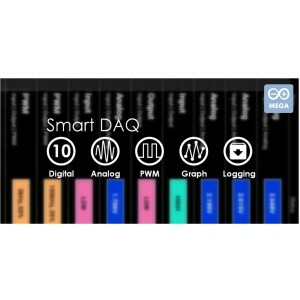 NOTE: Due to there are many compatible versions of Arduino MEGA 2560 and this SmartDAQ app might not able to support certain USB chip/function which is different from original design.